Julie Danvers is a Managing Director with Lincoln Churchill Advisors and is based in Houston, TX. Ms. Danvers has approximately 13 years of energy industry experience, specializing in the upstream and midstream sectors predominantly in investor relations. During her career, Ms. Danvers has developed and executed comprehensive strategies for investor targeting, outreach and communication that clearly articulated the corporate strategy and investment thesis to broaden and diversify the investor base. Her vast experience includes working on M&A transactions, initial public offerings, capital market transactions, shareholder activism and crisis communications. Most recently, Ms. Danvers was the Director, Investor Relations of Rice Energy, a leading independent natural gas and crude oil E&P company, until the merger between Rice and EQT Corporation was completed in November 2017. In addition, Ms. Danvers was appointed to the role of Director, Investor Relations for Rice Midstream Partners LP (the "Partnership") commensurate with the Partnership's initial public offering in December 2014. 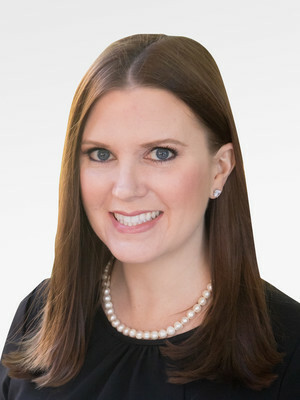 During her tenure at Rice, Ms. Danvers was responsible for building and leading the Investor Relations function, which included developing and executing impactful marketing and communication strategies, proactively engaging the sell-side and actively participating in key financings and strategic transactions. Prior to joining Rice, Ms. Danvers served as Manager, Investor Relations of Ultra Petroleum Corp. for six years. Ms. Danvers joined Ultra from Protiviti Inc., where she was a Senior Consultant with the Company, serving clients across various sectors of the energy industry. She is a member of the National Investor Relations Institute ("NIRI"), where she was elected to the NIRI Houston Board of Directors and served as the 2014 - 2016 Vice President, Sponsorship. A native Houstonian, Ms. Danvers holds a Bachelor of Business Administration degree from Baylor University with a double major in Finance and Entrepreneurship. She is an active member of the Junior League of Houston, Inc. and a 2018 - 2019 Board of Director and the Annual Fund Chairman.